Bodilight News & Special Offers It’s that time of the year..!! Are you already thinking about Christmas? No?! Well our team at Bodilight are, and we have the perfect gift to get you into that festive mood! 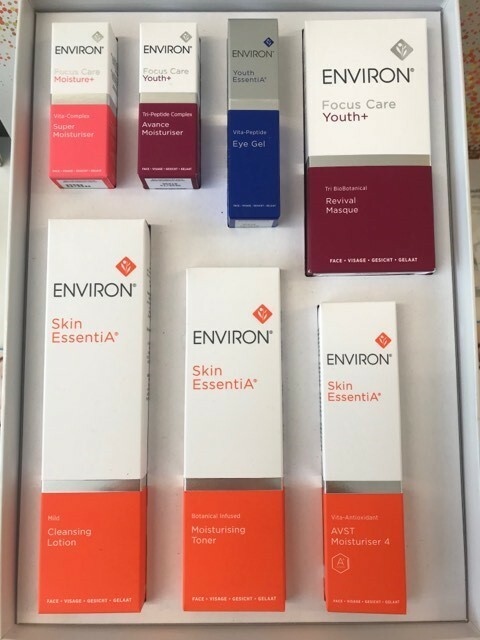 We have in stock now our amazing Environ Christmas Boxes and they are more fabulous than ever! If I haven’t already convinced you what you can expect and the lovely photos, let me give you some information on what each product will do for your skin. Super moisturiser – this moisturiser is a miracle worker, it contains moisturisers and emollients (which help support your skins natural barrier) to assist locking in moisture. It also helps to improve the overall appearance of your skin. It easily absorbs into the skin, restores the skins natural moisture balance and prevents the dry and tired feeling your skin can sometimes get when the weather changes and temperature drops. Avance Moisturiser – this is a multifunctional cream with amazing peptide complexes. It has additional moisturisers which contains Vitamin E which helps to give the skin an age defying boost. This cream also firms, smooths and will improve the skins tone – protects the skin from losing its firmness. Peptide Eye Gel – This gel contains antioxidants, vitamins and peptides to help improve the lines and wrinkles around the eye area. It also helps to keep the eye area moisturised and fresh looking. Revival Masque – This masque is AMAZING!! It helps to improve the appearance of firmer, regenerated skin, giving your skin a more youthful glow. It also helps to minimise the appearance of uneven skin tone and promotes the effect of natural skin hydration. They don’t call in ‘Facelift in a jar’ for nothing! Mild Cleansing Lotion – This lotion will remove any excess oils, makeup and impurities from the skin but it also maintains the acid balance in the skin which is very important to healthy happy skin! It does all this while refreshing the skins appearance. Moisturising Toner – This toner assists in controlling the appearance of uneven skin tone and blemishes. It also helps to soften the appearance of fine lines. It contains plant extract which is known to enhance the appearance of the skin – giving it a more refreshed look and feel. AVST Moisturiser – This contains Vitamin A & C and also antioxidants which supports healthy looking skin and assists in rebalancing and moisturising the skin. It helps to minimise the visible signs of ageing and nourishes and conditions the skin – leaving a healthy and radiant glow. It will also help to minimise the appearance of uneven skin tones, sun damage, fine lines and wrinkles. 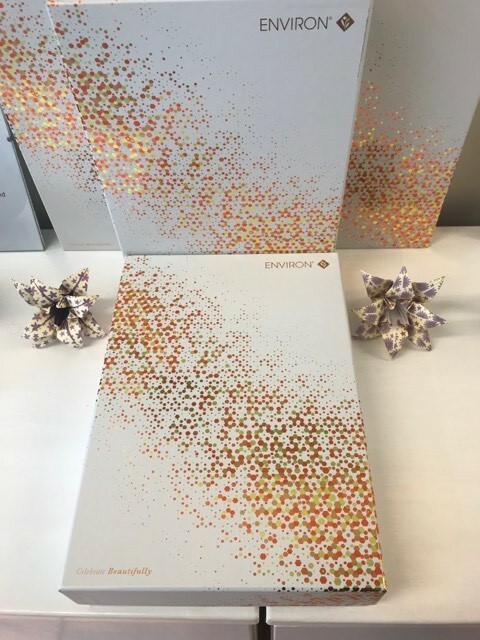 Also if we haven’t spoilt you enough, we also have an Environ Peptide Power Gift Set – this contains a Peptide Eye Gel and Avance Elixir Serum which comes in a Large Environ cosmetic bag. Avance Elixir Serum – This serum contains 3 power peptides that help to minimise ageing and sun damage. It assists in giving your skin a more youthful complexion and reduces the effects of UV radiation. Come and see us quickly to make sure you don’t miss out on these amazing Christmas Gifts! They won’t be on the shelves for long!